Rey Mysterio is a bonafide WWE Legend. Having been a part of WWE's roster intermittently for the better part of 2 decades since the WWE Attitude Era, there's very little that Rey Mysterio has not accomplished in his WWE career. So, when he made his way over from WWE SmackDown to WWE RAW during the Superstar Shake-Up, there was a lot that was expected from him. However, what was not expected was that Mysterio would get dominated immediately after his debut by WWE's newest monster -- Lars Sullivan. 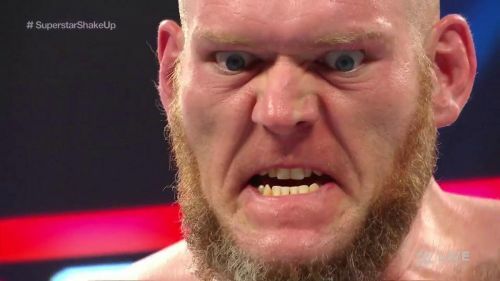 Lars Sullivan has been one of WWE's biggest monsters of late. Lars Sullivan had a push ready for him on the WWE main roster earlier in January, but he was not able to make the impact that he wanted due to a panic attack. He was not able to make his main roster debut and went home before the WWE Royal Rumble. Instead, he made his debut on the main roster on the RAW after WWE WrestleMania 35. Since then, he has already destroyed several WWE stars, including Kurt Angle and the Hardy Boyz. Rey Mysterio made his WWE RAW debut by interrupting Elias and took him out in quite the red brand debut. He was the latest SmackDown Superstar to make the trip over to Monday Night RAW, with his recent rival having made the transition moments before him. He did not have long to celebrate, as he was then attacked by Lars Sullivan, who utterly decimated him. He finished Rey Mysterio by hitting him with a Gut-wrench sit-out Powerbomb, which saw Mysterio left lying in the center of the ring. It appears that Sullivan is targetting WWE legends, and his latest assault on Rey Mysterio only supported the theory further. It will be interesting to see if this theme continues. WWE Rumors: Lars Sullivan debut possibly postponed due to an anxiety attack?